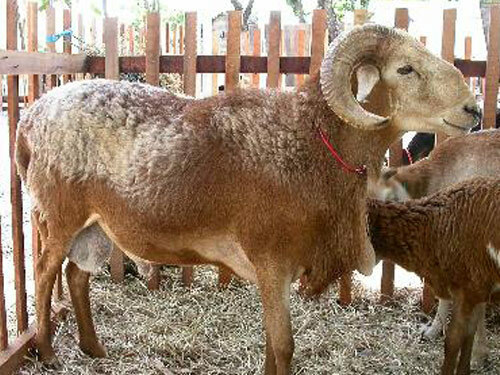 Rabo Largo, meaning broad tail, are sheep found in northeastern Brazil. They originated from fat-tailed hair breeds which were brought from Africa and crossed with the native Crioulo sheep. They are white, pied, or white, with a colored head. Both sexes are horned. Individuals within the breed vary between hair and carpet wool. The breed is one of the long fat-tailed breeds.